Everyone at the table groaned. My great-grandma had made Steve all of his favorite dishes: stuffed veal, chicken paprikash, cucumber salad with vinegar dressing, lima bean soup, and cauliflower with bread crumbs. He was doing an admiral job; he had navigated each course like an air force pilot in a storm, taking each potato cloud and every splash of sauce into consideration. His grandma (and my great-grandma) was dismayed. Here, she had slaved all day making a delicious meal for her grandson and baked BOTH of his favorite pies, and yet he only took a bite out of one of them. Steve later went on to try the other pie…but that’s not the point of the story. The real point is that my great-grandmother was not just a fabulous cook, but also a total sweet heart. According to my family, she always made sure her guests “had a little bit of this” and a “little bit of that” and NEVER, EVER let them leave the dinner table hungry. Since Mother’s Day is quickly approaching, I’d like to give you a taste of my great-grandmother’s cooking, in the hopes that you, too, can keep your family extremely well fed and happy. Especially you Steves out there. Today, I’m featuring her traditional Hungarian Chicken Paprikash recipe. Paprikash (paprika, but with a shhh at the end) consists of chicken, coated in paprika, bathed in tomato sauce, and marinated with onion. Is your mouth watering yet? Nockerl (Nock-er-roll) is a Hungarian dumpling, akin to a fluffy, light pillow of carbs, which is simply made out of water, egg, and flour. MESSY COOKER FAMILY RECIPE BELOW. Make my great-grandmother proud. Dish up some of this simple stew don’t let anyone leave your house with a grumbling tummy. Also, if you have a family member named Steve, please overfeed him. It’s tradition. Servings: 5-6 family members, friends, or anyone you want to feed, really. Oh, and anyone named Steve. Difficulty: Don’t be a chicken. Give it a try! Prepare your poultry. Start by combining the flour, garlic, paprika, salt, and pepper on a large plate. Mix until the color is even (light pink). Chicken out. Wash your chicken. Cut your chicken into 5 large pieces (or buy 5 chicken thighs). Then place the chicken pieces, one at a time, onto the large plate. Rub the paprika mixture into each side. Sprinkle with flour. Set aside chicken for a hot second. Cry a little. Add 1 tbsp oil to a very, very large pan. Place on stove and turn heat to medium. While the oil is getting warm, chop up the onion. Cry. Then, add the onion to the pan and sauté until golden. Meanwhile…Rock’n Nockerl. Combine eggs, salt, flour, and water in a large bowl. Beat with a fork until dough is loose—not runny—and soft. Let rest 30 minutes. Meanwhile…take two. While your dough is resting, boil some salted water in a pot. Then, when the dough is done, drop it, little by little, into the boiling water. The dumplings are done when they float to the top of the water. Let them cook a few minutes before straining. Then, strain and run cold water over them. Trick: Add the nockerl dough to a square plate (or as flat a plate as you can find). Then, using a knife, push small 1/2-inch wide chunks off the edge of the plate and into the water (this will help it form a dumpling like appearance). Also, make sure your water isn’t boiling too aggressively or it will break the dumplings apart. Return to your stew. By this time, your stew will need an additional 1 tbsp flour and 1 tbsp oil. Add it! Then add more paprika, salt, and pepper if desired. Lastly, add just enough chicken broth to cover the chicken, then simmer uncovered for 15 minutes longer. Serve! Add the nockerl to your plate first, then plop the chicken paprikash on top of it. Eat it all. You deserve a good meal. Real good tip: serve with a dollop of sour cream on top. Somehow the creamy texture of the dairy combines nicely with the savory taste of the chicken and onion. Hi. I used a tiny pot and spilled all of my paprikash onto my stove. What do I do now? Buy some steel wool. It will clean your stove much faster than any old sponge. Trust me. Feeling Hungary? Take a glance at Budapest. (it’s beautiful). 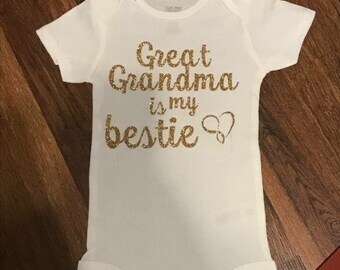 Need a Mother’s Day gift idea for your great-grandma? Here’s one. Found a hedge you like? Call it STEVE!